Working in hotels is both challenging and rewarding. It requires a high tolerance for demanding guests and the willingness to wear very specific clothing every day. Those who are on the fence about hotel employment should consider these five perks before applying to other types of jobs. Most people outside of the hotel industry think that the odd work schedule would be a downfall of hotel employees. While the late nights, overnights, and long shifts can be challenging at times, most hotel employees consider the equally odd time off to be a hidden perk. They never have to take time off of work for medical and other appointments that can only be made Monday through Friday during normal working hours. They avoid commuter traffic and crowded stores, and they never have to wait for the best table at restaurants and coffee shops. One reason why people enjoy working at restaurants is that they get to keep leftovers. Imagine the hidden perks of working at a place that has at least one restaurant and hosts many of its own catered parties throughout the week. That place is called a hotel, and many hotel employees rave about the wide range of event leftovers they get to take home. The fancier the hotel, the fancier the leftovers employees get to sample. This is a great opportunity to try strange delicacies that you would never spend money on otherwise. Emotional intelligence refers to the ability to identify and appropriately respond to one’s own emotions and those of others. Building up this skill is another hidden perk of working in hotels. 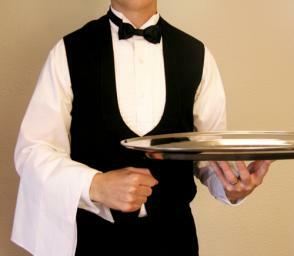 Hotel patrons come in all personality types, so hotel employees must learn to deal with all different types of people. They must be able to switch rapidly from one personality and situation to another. In The Journal of Human Resources in Hospitality & Tourism, Sheila A. Scott-Halsell, Shane C. Blum, and Lynn Huffman explain more about the link between hospitality and emotional intelligence. Many people are discouraged from working in hotels by the salary. On the surface, most hotel positions are not particularly lucrative. Underneath that base salary, however, lies the hidden perk of multiple opportunities to make extra money. Hotel employees enjoy some of the highest tips and bonus opportunities. They are eligible for many discounts on various goods and services. Many hotels also offer excellent benefits packages to employees who work past a certain probation period. Every occupation has its hazards, and working in hotels is no exception. From difficult customers to weird hours, some of these challenges are actually hidden perks. In many ways, working in hotels is like being on vacation every single day.